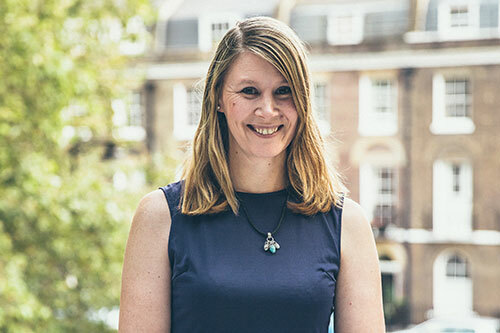 Bestselling children's author Tamsyn Murray writes the Afterlife series for teens (Piccadilly Press Ltd) and the Stunt Bunny series for younger readers (Simon and Schuster). Her first picture book, Snug as a Bug came out earlier this year (Simon and Schuster) and the first two books in the Cassidy Bond series, for girls aged 9-12 years, will be published by Usborne in 2014. She has been nominated for several awards and was described as 'One to watch' by The Bookseller. She regularly appears at literary festivals, including Hay and Cheltenham, and often speaks at the Romantic Novelists' Association Conference. "I started writing in 2008, when I bought a How-to book and decided I would try short stories. I sold my first short story in May 2008 (to My Weekly magazine), finished my first novel in July (My So-Called Afterlife) and got an agent in October. "In early 2009 my agent received an offer for My So-Called Afterlife and we've never looked back. In total I've published nine books for children and teens, with another two due next year. "One of my earliest memories is sitting reading, when I could only have been around four, and that love never left me. When I couldn't get any children's books, I read Dickens and Mills and Boon - anything, as long as it had a story. My love affair with books began very early on and it's by far my longest relationship! "I've taught as part of my day job (in schools' IT support) for over ten years. It seemed like a natural progression to combine my love of writing with the skills I'd acquired over the years. "The best part of teaching is when we're doing an exercise, especially the ones I can see the students don't really understand at first, and suddenly a light bulb goes on and they get what I want them to do. More importantly, they see how it applies to their own writing and the techniques they're learning. "The Writing for Children short course I teach at City covers everything students need to know about writing for children, from nurturing an idea into a fully-fledged story, to how to approach an agent or an editor. "We study a range of texts, from classic picture books through to hot new Young Adult books, in a fun and relaxed way, and everyone is encouraged to talk about what they're reading as well as what they're writing. "Typically, each of the ten classes has 50% teaching and 50% exercises designed to give students the skills to plot, develop and polish their own writing. There's a social aspect to the classes too - we go to the pub after some lessons to get to know each other better. "Several of my students have finished their books after the class, whether it's a picture book or a Young Adult manuscript, and have started querying agents and publishers. I'm still waiting to hear about the first big deal but I'm confident it can only be a matter of time. They've been a talented bunch and a pleasure to teach. "If you're thinking of studying at City, my advice would be just do it! I've had the pleasure of chatting with my fellow tutors around the campus and on social media and they've been incredibly knowledgeable and friendly. "One of my writer friends, Keren David, was a student on the Writing for Children course several years ago and wrote a Young Adult novel from an idea that grew in one of the lessons. That novel became her first published book and she's now an award-winning writer who even taught the class herself for a few years. Because the courses are affordable, you really have no excuse not to take them and they might just change your life." Tamsyn Murray teaches the Writing for Children short course at City, University of London.